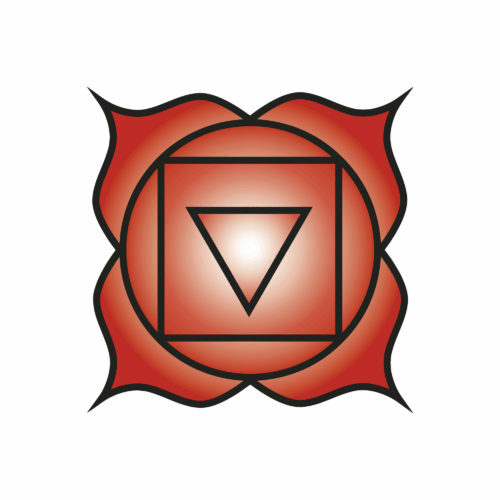 The root chakra – the earth chakra – is the most instinctual of all the chakras. The root chakra is considered your survival center and is primarily responsible for your sense of safety and security of life on the Earth. The root chakra is blocked by fear. So ask yourself; what are you most afraid of? What can you let go of that blocks this chakra? I am grounded. My spirit is grounded deep in the earth. I am calm, strong, centered and peaceful. I am able to let go of fear and trust that I am eternally safe. I am worthy of all things beautiful. Blocked: Weight gain/loss, depression, anxiety, constipation, pelvic pain, rush/stress, don’t pay attention, can lead to exhaustion and feeling stuck. Open: Calm and steady energy. Feeling supported and safe. What do you need to feel that you are enough and have enough?